Welcome to Day 2 of our Gloaming hop! This week is filled with plenty of quilty inspiration using Shelley's Gloaming collection--we hope you enjoy it! Below are sneak peeks for today's designers--use the links to see more as well as find out how you can enter to win a fat quarter bundle of Gloaming fabrics for yourself on each designer's post! Hi! I am Kate Colleran from Seams Like a Dream. When Shelley asked if I wanted to use some of her fabric in a project and be part of her blog hop, I was over the moon! I love the rich colors in this line! I decided to use my pattern, Boston Bricks to make a crib quilt. The pattern is perfect with Fat Quarters and the pop of the prints against the white is just sew great! 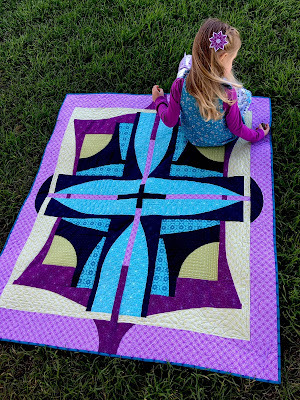 A wonderful line like Gloaming makes a beautiful crib quilt. Or a bigger quilt! Hi I'm Karen from Capitola Quilter. 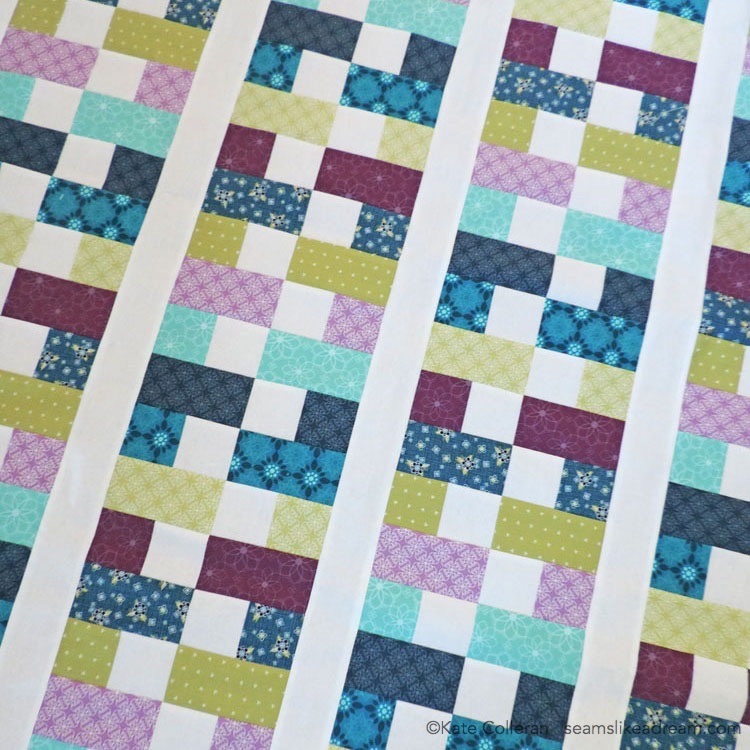 Gloaming has a range of color and scale that is perfect for creating a modern graphic quilt. I enjoyed bringing an original design to life with prints that read as solid mixed with fussy cut floral. Missed our interview with Shelley about Gloaming? Visit all the stops on our Gloaming hop this week! Awesome fabrics! I'm really enjoying the blog hop. Hoping to win a bundle of Fabrics!! Have a great day! !